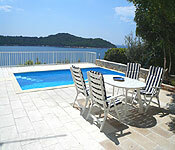 Six bedroom villa with pool near Dubrovnik. 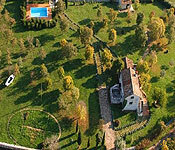 Sleeps up to 20 persons. 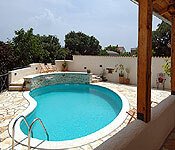 Family/Group villa from less than £10 pppn Get 10% off on 7 nights. less than £20 pppn Get 40% off. From most of Europe it is highway all the way down to Split. From the UK flight choices include Easyjet into Split and Ryanair into Zadar. With car rental starting from as little as £159 per week including FREE upgrades and FREE extra drivers the area has never been so affordable. 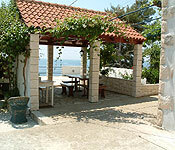 Hvar Island Cottage from less than £15 pppn Get 15% off. less than £18 pppn Get 10% off. 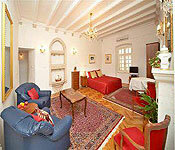 Venice-Pola (Pula), Venice-Porec, Venice-Rovinj, Venice-Rabac.Book Venice Hotels online. One bed. 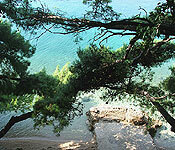 apartment in Rovinj within easy access of Venice Catamaran. less than £15 pppn Get 10% off. less than £22 pppn Get 10% off. Prices listed are per property per night and do not include tourist tax charged at 92 pence per adult per night, children ages 12-17 pay 46 pence per night and children under 12 do not pay the tourist tax. 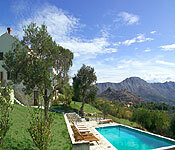 Offers apply to April and May stays only and unless otherwise stated apply to a minimum stay of 3 nights. 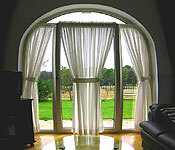 Some offers subject to booking deadlines. Prices quoted per person are based on maximum occupancy. Car rental upgrades apply to selected car groups.